Can a pumpkin be launched over a mile? Can a gourd go super-sonic? These vital questions will be answered on Thanksgiving Day as the Science Channel covers the annual Punkin Chunkin World Championship held in Sussex County, Delaware. The previous record, set in 2011 by the Second Amendment Too Air Cannon, is 4,329.37 feet, or 0.8199 miles (1443 yards). The heavy artillery will be out in force this year — trying to break that record, and maybe hit the mile mark in the process. Each year, competitors roll out some amazing machines designed to propel pumpkins “farther, higher, faster”. The mighty air cannons are the distance kings, but the wild and crazy devices in the torsion, trebuchet, catapult, and centrifugal divisions are impressive to watch. 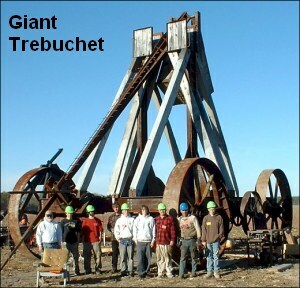 Many of these fearsome-looking machines replicate the designs of medieval military siege weapons. 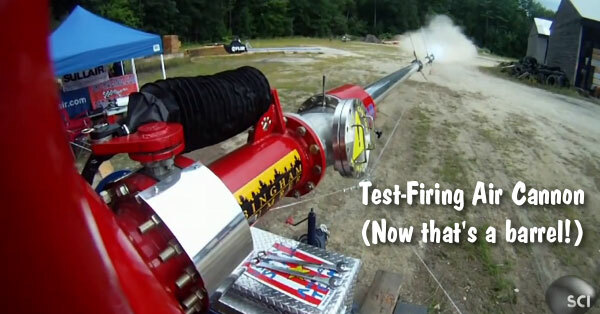 With the goal of launching a pumpkin one mile, considered the “Holy Grail” of Punkin Chunkin, the American Chunker team has developed one of the biggest, baddest air cannons ever. With a new 540-horsepower compressor pumping out 500 psi of pressure, the creators of this massive cannon hope to send a pumpkin supersonic. This cannon represents an investment of $168,000 and 2800 man-hours. 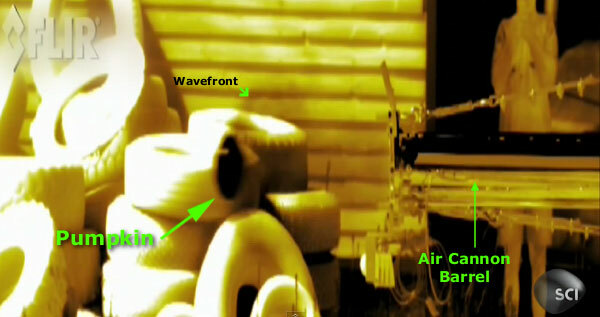 State-of-the art sensors are used to gauge pressure and measure the pumpkin’s speed in flight. Will the team break the sound barrier? Watch the Science Channel special to find out. To catch all the Punkin Chunkin action, tune your TVs to the Science Channel on Thanksgiving Day, November 28th. At 8:00 PM Eastern, the Science Channel devotes a full hour to America’s wildest display of agricultural artillery — Punkin Chunkin. 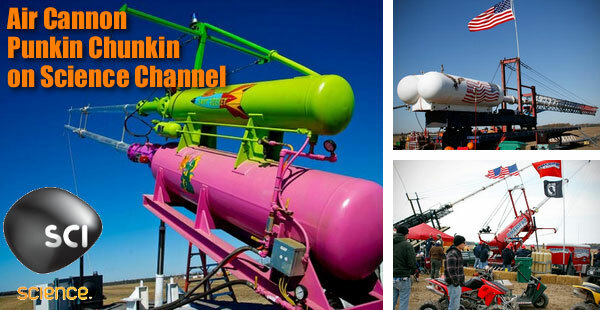 This hour-long special TV event covers the 2013 World Punkin Chunkin Championship. This fun-filled event, held near Bridgeville, Delaware each November, draws up to 70,000 spectators, raising money for charity. The Punkin Chunkin special is hosted by Tory Bellici, Kari Byron, and Grant Imhara from Mythbusters. Like Big Guns? View Chunkin Air Cannons Gallery. Share the post "Punkin Chunkin on TV Tomorrow — Air Cannons Aim for a Mile"
McMillan will still be making stocks and other components. However, it is selling off its gun-building business. Strategic Armory Corps (SAC) announced it has acquired McMillan Firearms Manufacturing, LLC. McMillan produces quality hunting and tactical rifles including the highly-regarded TAC-50, TAC-416, TAC-308, TAC-300/338, and the new Alias modular rifle system. McMillan produces a full line of hunting rifles, including the Custom Collection, Mountain Extreme Series, and Long Range Hunting Series. McMillan also builds competition and target rifles. Kelly McMillan stated, “Both Ryan and I will continue on as long term consultants with McMillan Firearms. We are proud of our heritage and are confident that Strategic Armory Corps will continue to build the highest quality firearms for our valued customers”. Strategic Armory Corps is based in Phoenix, Arizona and is a fast-growing firearms and ammunition company that serves the needs of the high end firearms enthusiast. In July of 2013, the company acquired ArmaLite, Inc. one of the oldest names in the AR-style sporting rifle segment of the industry. Story lead from EdLongrange. We welcome reader submissions. Share the post "Strategic Armory Corps Acquires McMillan Firearms Mfg., LLC"
Polish off your credit cards boys and girls, the big Brownells Black Friday Sale begins at 12:01 am on Thanksgiving Day, November 28, 2013. You’ll find great bargains on gun parts and accessories, as well as reloading gear and gunsmithing tools. (Brownells is the world’s largest supplier of gun accessories and gunsmithing tools) The special sale prices start on November 28th and continue through the weekend — you have until 11:59 pm CST on December 2, 2013 to grab these Brownells bargains. 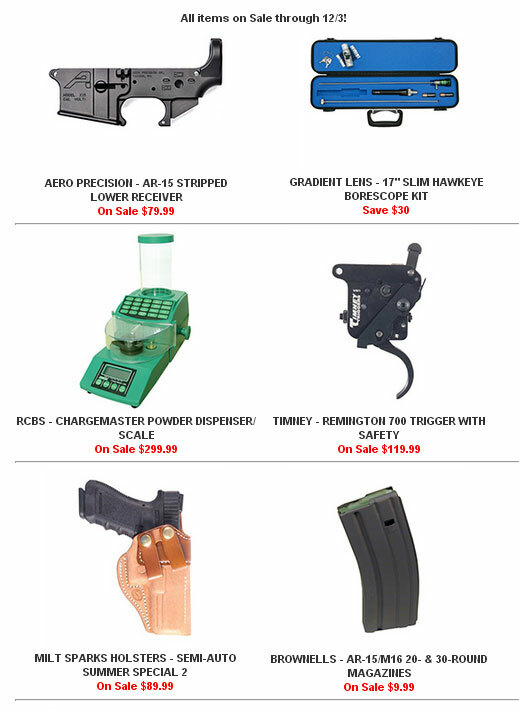 Here Are Some Currently-Featured Sale Items at Brownells. 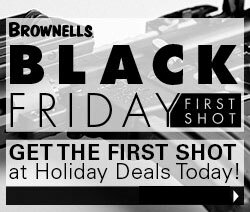 Share the post "Brownells Black Friday Sale Kicks Off Tomorrow (Thanksgiving)"